Coconut milk and a cashew butter finish make this gorgeous stew irresistible. This is everything I want to eat right now, after the holidays, when it’s biting cold outside. 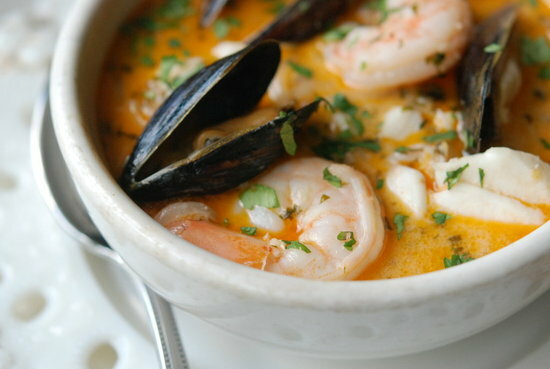 Recipe for Brazilian Fish, Shrimp & Mussel Stew at Andrew Zimmern’s Kitchen Adventures/Food & Wine Magazine. this looks amazing! i can't wait to make this for our next soup and salad night! Thanks Angie, good to hear! Many recipes gluten-free, for sure. Definitely trying this! I love how many of your recipes fit with my healthy eating goals (I'm also gluten-free). Excited to keep snooping around.